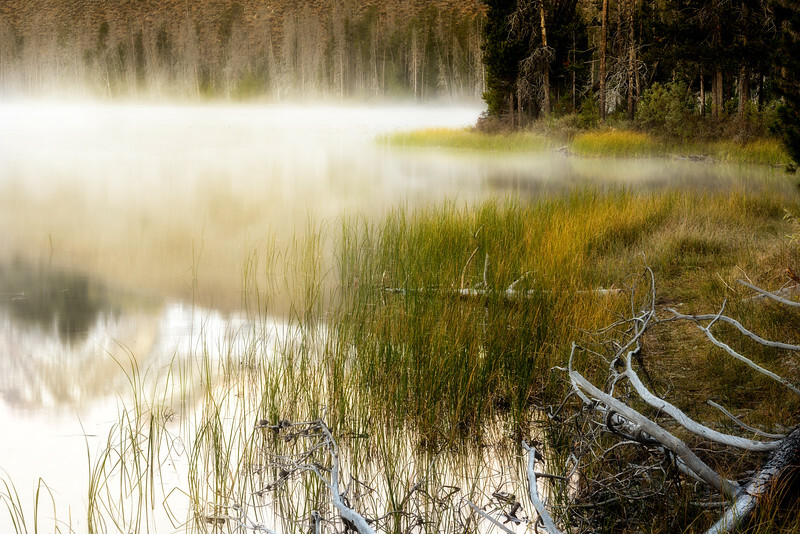 Fog on the lower lakes in the Sawtooths is just a normal occurrence. The fog with its own beauty dose obstruct the view of the mountains. When this happens I tend to focus on what is nearer. On this morning the S-curve of the shore line draped with fog mad for a nice composition.